Sweet! I have 3 more pumpkins to carve…and now I have a reason to look forward to it. I was starting to get sick of pumpkin until your post! Awesome! Are you carving them for your own decorations? I have never carved one of my own but I may do it Monday. Yes. Seven to be exact. Wow…all that from the lowly pumpkin…I had no idea! Thanks! Thanks! How is everything going? Pretty well. Had some injury problems but I’m back to being healthy again and hitting it hard! You? Thats good you are back at in the gym. All is well on my end still lifting, running, yoga. Good topics on your blog. I always suspected there was much more to pumpkins than trivial Halloween decorations. Exactly! So many benefits Ryan! Great post!! I have been putting homemade pumpkin butter in my breakfast smoothie in the morning with some coconut. It’s so good. Healthy choice Liz! I hope you are having a FANTANBULOUS day as usual. Great post, interesting. Never knew there were so many health benefits to pumpkin. Love pumpkin! Thanks for sharing this great post! Thanks for the info, this is awesome. I just posted my current addiction: Pumpkin Breakfast Parfait on my blog before I read this. I can’t get enough! Glad you enjoyed it! I’m all pumpkin out! Aww thanks! Glad that you like the content! Let me know if you have questions on anything!! L-Jay, Thanks for the article on pumpkins and thanks for following me at crossfitathomeblog. I can attest that eating your jack-o-lantern is tasty! My wife sacrificed one of ours just last week and made pumpking pancakes, muffins, and of course pie (all with natural sweetners). Thanks to your informative article, I can feel pretty good about eating these treats. The pancakes with honey on them are pretty amazing! Nice! Pumkin pancakes and muffins sounds delicious. I am really glad that you enjoyed reading about all the different benefits. I will definitely need to try the pancakes with honey soon!!! This is great, thanks for reading my recent fitness post…your blog is GREAT!! The wrinkle point you made: The most powerful anti-wrinkle product known is the Retin-A/ Retinol group of products science has been aware of since the beginning of the 1900s, but little used ’till recent breakthoughs in how to make it work when topically applied. Yet nature has its own brilliant delivery system: balanced diet including one or more orange veggies like pumpkin every day! And for no more expense than including these in your regular grocery bill. Yea! Thanks for that feedback. It’s off that we only think about eating pumpkin in the fall time. This should be a year round fruit because it has so many great benefits! Thanks for reading!! I will definitely have to try this one out. I love making new smoothies! It can get quite boring drinking the same ones over and over again! Roasted pumpkin soup – yum! I get the small pumpkins, cut them in half and bake. Then fill the half shell with a ground beef, onions and spices mixture. Delish! Interesting! I will have to try this one soon! Thanks a lot for sharing! I love pumpkin! Thank you for this. 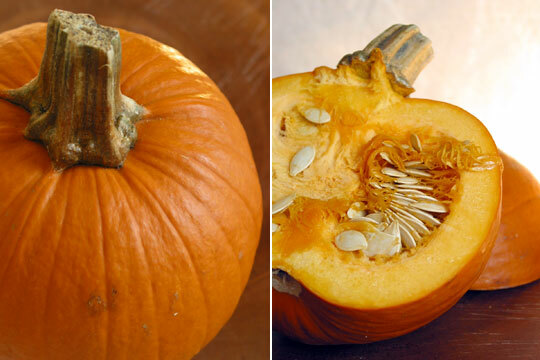 I’ve also heard that pumpkin seeds have been used to get rid of intestinal parasites. And thanks for the follow. Great post! LOVE pumpkin! I am really enjoying your blog. Thanks for sharing! and thanks for the follow, too!